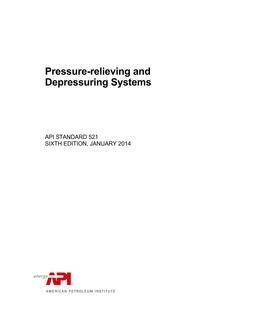 This standard is applicable to pressure-relieving and vapor depressuring systems. 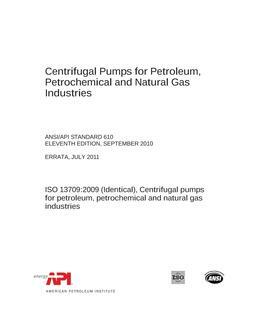 Although intended for use primarily in oil refineries, it is also applicable to petrochemical facilities, gas plants, liquefied natural gas (LNG) facilities, and oil and gas production facilities. The information provided is designed to aid in the selection of the system that is most appropriate for the risks and circumstances involved in various installations. selecting and designing disposal systems, including such component parts as piping, vessels, flares, and vent stacks. This standard does not apply to direct-fired steam boilers. 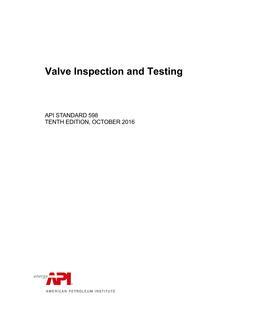 The portions of this standard dealing with flares and flare systems are an adjunct to API Standard 537, which addresses mechanical design, operation, and maintenance of flare equipment. It is important for all parties involved in the design and use of a flare system to have an effective means of communicating and preserving design information about the flare system. To this end, API has developed a set of flare datasheets, which can be found in API 537, Appendix E. The use of these datasheets is both recommended and encouraged as a concise, uniform means of recording and communicating design information.